Welcome to the first episode of The Healthy Skeptic Podcast! To listen to this podcast and subscribe to future episodes in iTunes, click here or click the new iTunes podcast button in the sidebar to the right. If you don’t use iTunes, you can listen to the file by clicking this link. If you’d like to download it, just right-click the link and download it to your computer. If you’re an Android user or prefer subscribing to an RSS feed of the podcast and blog together, click here. We’re kicking things off with an interview with Dr. Stephan Guyenet, Ph.D. on obesity, body fat regulation, and weight loss. Stephan is a researcher at the University of Washington studying the neurobiology of fat regulation. He also writes one of my favorite blogs on nutrition and health, Whole Health Source. It’s a bit long at 1:20, but I think you’ll enjoy it if you’re interested in this topic. Chris Kresser: Hey everyone, it’s Chris Kresser from TheHealthySkeptic.org, and I want to welcome you to the first episode of The Healthy Skeptic podcast. Tonight we’re gonna be talking with Stephan Guyenet about obesity and weight loss. Stephan is a researcher at the University of Washington, studying the neurobiology of fat regulation. He also has a wildly popular blog on nutrition and health called Whole Health Source. So let’s get started. Hello, Stephan! Chris Kresser: Why don’t you tell us a little bit more about what you do. Stephan Guyenet: Yeah, so, I study body fat regulation and, in particular, the feedback loops that control the level of fat mass in animals and humans, so that’s something we’ll be getting into in a little more detail later on in the interview, I’m sure. Chris Kresser: Um-hum. And you also write a blog, one of my favorite blogs, Whole Health Source. What do you write about there? Stephan Guyenet: Basically I write about health and nutrition from a traditional foods standpoint, so how are cultures eating that are avoiding the problems that we’re trying to avoid, basically. And I mix that with a little bit of, well, with a lot of scientific research from the biomedical literature as well as some anthropology and archeology and whatever I can get my hands on that gives me the information I’m looking for. Chris Kresser: Great. So at the end of the interview, we’ll give out your blog address for people who haven’t seen it yet, and we’ll also post a link to it on my blog when I publish the interview. Chris Kresser: So let’s dive in. We’ve been told for a lot of years now to eat less and exercise more, that that’s the key to weight loss, so I guess the first place to start is is that actually working for us? Stephan Guyenet: Well, that advice has been around for a long time now, and I have to say it has had no discernible effect on the obesity epidemic. You know, if it were that simple, if it were simple and easy, everyone would be doing it and there wouldn’t be an obesity epidemic. So on the surface, I find it rather obvious that it’s not working. The fact is people are actually eating more now than we did 30 years ago. So, we are eating more and that is part of the equation, but the question is why are we eating more? You know, why are people driven to eat more now? And I think it’s more complicated than just gluttony. I think that if it were as simple as gluttony, if the problem were that simple, then the solution would be easy and the problem wouldn’t exist in the first play, you know? Chris Kresser: Right. So the problem, in part, is that we are eating more. It’s not that we’re eating the same amount or eating less, but we actually are eating more than we were 30 years ago. Stephan Guyenet: Yes, that’s correct. I would say that we’re eating considerably more calories than we were 30 years ago. Yeah. Chris Kresser: Um-hum. So why is it so hard to eat less? Stephan Guyenet: Well, basically the problem is that fat mass is biologically regulated. So, it’s not just the result of conscious decisions to eat less or exercise more or eat more or whatever. It’s a biologically regulated process. So you can think of it in terms of the thermostat in your house, for example. Let’s say you have a heater and an air conditioner in your house. You can set your thermostat to turn on the air conditioning if your heat goes above 80, and you can set it to turn on your heat if it goes below 65, and it’ll keep the temperature in your house within a fairly narrow range, and they call that a thermostat, so thermo = temperature, stat = the same. And the body has a number of these mechanisms that are designed to keep various things in a particular range. So for example, there are feedback loops that keep oxygen in the blood in a certain range without which you would be dead, blood sugar within a certain range, blood pressure, concentration of ions, and it turns out there’s a similar mechanism that regulates fat mass. It has been shown in a number of studies in both animals and humans that if you restrict calories, you can produce fat loss. There’s no doubt about that. You also produce a loss of lean body mass. But as soon as you allow that animal or person to eat as much as they want to eat again, they bounce right back up to their original fat mass. And that occurs whether you start with someone who is overweight or someone who is lean. So, at least short-term changes in fat mass are compensated for very quickly by the body, and there are a number of mechanisms that are designed to pull fat mass back into the place where the body wants it. And you can call that the adipostat. Adipo means fat, and stat means the same, so the body has this mechanism that’s designed to maintain fat in a certain range. And the same thing actually occurs with overfeeding. You can get volunteers and you can stuff them with 50% more calories than they would normally eat. They’ll gain fat, they’ll gain lean mass, their metabolism increases. And then as soon as you stop overfeeding them, they lose the weight completely or almost completely, no matter whether they started off lean or overweight. So there’s this feedback mechanism that the body has to try to keep fat in a particular place, and that’s the reason why just eating less doesn’t work, because if you haven’t removed the factor that’s causing your body to want to store more fat, it’s still gonna want to store fat even though you’re not giving the calories it needs to continue storing fat, so it’s gonna increase hunger, it’s gonna decrease metabolic rate, it’s gonna increase the efficiency of muscular contractions, so your muscles do the same amount of work by expending less energy, decrease body temperature, etc., all of these things designed to pull, as much as possible, the fat mass back to the place where it wants it. So basically, you can lose fat by eating less, but you’ll be fighting yourself. You’re fighting your body as long as you haven’t changed where the adipostat is set. Chris Kresser: Right. OK, so let me just see if I can summarize that. So we can both lose weight and gain weight, but certain mechanisms in the body will kick in to restore whatever body fat setpoint it is that we’re defending. And those mechanisms might include increasing our normal resting metabolic rate, or they might include stimulating increase in appetite, or we might store more calories than we normally do, or we might be motivated to exercise more and move more. Is that all part of it? Chris Kresser: So, it sounds like the body has really got a mind of its own that’s completely independent of whatever conscious decision we make about losing or gaining weight. Chris Kresser: So, what about exercise? I mean, it sounds like we can’t control weight loss very well just by making a conscious decision to eat less. What about exercising more? That’s the other part of this equation that we’ve been told for so many years. Stephan Guyenet: Yeah, so going back to the thermostat analogy, let’s say that you have your thermostat set to keep your house at 65 degrees, and it’s in the middle of winter, it’s 30 degrees outside, and you decide that you want to cool your house down by leaving all the doors open. So you’re letting just heat pour out of your house. What’s gonna happen? You’re basically letting energy out of your house. You’re increasing your house’s energy expenditure, basically, and what gonna happen, your furnace is gonna kick in, and it gonna start pumping more energy into your house to maintain that temperature. So if you take this analogy back to exercise, that’s the idea behind exercise, is you increase your energy expenditure to reduce the amount of energy you have stored in your body. But the problem with that is you have this adipostat that says: Wait a minute. We have all this energy leaving. We better get some more energy into this system to make up for it. And so it’s called hunger, you know? That’s basically the reason why typical exercise doesn’t cause fat loss, is because it increases hunger, increases calorie intake to compensate to maintain that fat mass. Now, I’m not saying that exercise… I think exercise is a very healthy thing to have as part of your lifestyle and it has many benefits, but running on a treadmill is not really an effective means to lose body fat if a person is overweight or obese. It’s possible that exercise could have a role in preventing obesity, but it’s fairly clear from the studies that it’s not an effective treatment for obesity. Chris Kresser: Right. I remember reading a story about that in Time Magazine a while back, and they were talking about this group of women that would go on, like, a really intense hour-long run and then afterwards they would stop at Starbucks and have a muffin and, like, a coffee drink, and what they didn’t realize is that they were replacing all of the calories that they had burned in that run in that single trip to Starbucks, and I think the author was saying how in addition to feeling more hungry after we exercise, there’s a tendency for people to feel like they can treat themselves on the days that they exercise, so they actually not only end up eating more but often end up eating more calorically dense foods, maybe more sugar. Stephan Guyenet: Yeah, and what do people eat when they go for a run? They go home and they eat a big whole bowl of pasta or something. Chris Kresser: Exactly, or even more, maybe some cookies or something because they feel like they can afford to do that because they exercised. Stephan Guyenet: They earned it. Stephan Guyenet: Yeah, I think one of the things that a lot of people don’t realize is that exercise doesn’t burn that many calories. I mean, compared to the amount of energy that you expend just sitting in a chair, keeping up your body temperature and all of your various metabolic processes, exercise really does not burn that many calories. Chris Kresser: Yeah, that was really surprising to me when I started to looking into how many calories were actually burned, you know, on a run or something like that. And you’re right. It’s not very much, and it explains part of the reason why exercise isn’t very effective, I think. So, for people who are reading the research on this and even just in the popular media, there’s a big debate in the weight loss world. It seems like there are kind of two polarized schools of thought. One is the calories in / calories out school, and they say that the only way to lose weight is to eat fewer calories than you actually burn, and it doesn’t matter how much protein or carbohydrates or fat you eat. You just need to eat less than you burn and that’s it. The other school is maybe the metabolic advantage school, and they say that cutting carbohydrates can stimulate certain hormonal changes that lead to weight loss. So, who’s right? Or is the truth somewhere in the middle? Stephan Guyenet: Well, I’ll just start by talking a little bit about the calories in / calories out theory, because I feel like it’s a sticky issue that needs to be defined. Thermodynamics says that the amount of energy that’s contained in your body is going to decrease if the amount coming in is lower than the amount coming out, basically. And I mean, that basically is thermodynamics. But the problem is people take that idea and they extrapolate it to think that telling someone to eat less and exercise more is an effective strategy to cause an overweight person to become lean, and that’s where you have a disconnect because there are other factors in the equation. The body is not static. It reacts to changes in energy intake and energy expenditure by trying to compensate. So that’s the issue. If you eat fewer calories, your body activates a program that tries to conserve those calories. But anyway, back to the original question. I don’t want to get too far off base. Basically the idea of the metabolic advantage, the idea that there could be differences that are independent of calorie intake on fat gain or fat loss, I don’t really know if that’s true or not, to be perfectly honest. I think honestly it’s a little bit of an academic debate because if you look at low-carbohydrate diet studies, for example, you see that people reduce their calorie intake when they go on those low-carbohydrate diets, and they lose fat. So is the fat loss due to the reduced calorie intake completely? Is it due to that plus some kind of metabolic advantage? I really don’t know, but all I know is that they’re losing fat and eating less, and I find that interesting. If there is a metabolic advantage, it’s probably pretty small. I mean, I would say that more important is the metabolic disadvantage that occurs when you restrict calories, and what I mean by that is that your body reduces its metabolic rate to compensate, and so each fewer calorie that you’re eating does not translate into the same amount of fat loss that you would expect it to. Stephan Guyenet: So, the other thing to keep in mind is, you know, the calories in / calories out idea, as it’s commonly stated, really fails to explain a lot of findings in the biomedical research world. So for example, you can do a number of things, and Gary Taubes has talked about this quite a bit. There are a number of interventions that you can do in rats, for example, that will make them fat, and that fat cannot be reversed by caloric restriction. They will literally die of starvation obese because they will eat their own lean tissue to spare their fat tissue. So basically their body has decided that that fat tissue is so important that it’s gonna metabolize the lean tissue, the muscle and the liver and the brain and all that stuff before burning that fat. Those models include female rats where you remove the ovaries, is a model like that. You can lesion certain parts of the hypothalamus and the brain. You can knock out the receptor for the hormone leptin, which is probably the central hormone in the adipostat mechanism, and those rats will hang onto their fat to the death. It doesn’t matter how much you calorically restrict them. So, I think that’s where the calories in / calories out theory fails, is it doesn’t account for that dynamic regulation of energy balance as well as fuel partitioning, so how the body prioritizes where it wants to put energy. Does it want to put energy into the fat mass? Or does it want to put it into the lean mass to be burned? That’s something that the calories in / calories out theory does not address, and that’s a critical factor, possibly even the central factor. Chris Kresser: Right. Yeah, that makes sense. Chris Kresser: And just getting back to the low-carb diet, you mentioned that people who follow a low-carb diet eat fewer calories, and that happens spontaneously, right? In the studies that I’ve seen, often when they compare a low-carb diet to a low-fat diet, the researchers tell the low-carb people they can eat however much they want, and they tell the low-fat people a specific number of calories to eat, and the low-carb people end up eating fewer calories anyways. What do you think that’s about? Stephan Guyenet: Well, I’m speculating here, but I think that points to the possibility that low-carbohydrate diets, at least in some people, are able to reset that adipostat mechanism, making the body want to carry less fat mass, at least in some people, because if you didn’t tell somebody to eat fewer calories, why are they gonna eat fewer calories? You know, maybe the food doesn’t taste good or something like that would be the typical explanation, but I think that’s very unlikely because the food you eat on a low-carbohydrate diet, first of all, is pretty tasty. Chris Kresser: Yeah, exactly! Most people like it. Stephan Guyenet: I think it just points to possibly a changed adipostat. The brain is saying: Hey, you know what? I don’t think we need quite as much fat, so why don’t we lay off on the calories a little bit and we’ll let some of that go. Chris Kresser: Well, it certainly seems like that. I mean, that sounds totally reasonable to me. And I’m curious what the long-term studies that have been done on low-carb diets show, because from what I’ve seen, the effect tends to diminish over time, which makes we wonder, you know, if the set point is being adjusted or reduced, why aren’t these people continuing to lose weight, or why doesn’t the weight stay off over, like, a period of 18 months, for example? Stephan Guyenet: Right. I mean, that’s a great question, and if you can take a hundred people and put them on a low-carbohydrate diet and they all lose, let’s say 10 pounds or 20 pounds at six months, and then they’ve gained it all back at a year, but they were eating the exact same diet the whole time, then you can say: Oh, well, you know, it probably didn’t reset the setpoint, the adipostat. It probably just temporarily reduced fat mass and then bounced back. But the problem with these studies is there’s another factor. There’s adherence to the experimental diet. So, I am not sure how much of that is due to people not eating the diet as much anymore and how much of it is due to an actual rebounding of the body, because you look at these studies, and the adherence definitely decreases over time. You know, people are really gung ho at first. They’re following the diet to the T the first couple of months. They’ll lose a bunch of weight… they’ll lose a bunch of FAT, excuse me, and then after a few months they say: Hey, you know, I kinda like bread. Maybe I’m gonna eat some more bread. Maybe I’m gonna eat some more pasta. And it kinda creeps back in. So I can’t say for sure how much of the effect is due to the setpoint kicking back in and how much of it is simply due to adherence. But I will say that at least on an anecdotal level, I know individuals who have had long-term success on low-carbohydrate diets, and that, to me, suggests that there really is a reregulation of the fat mass setpoint, at least in some people. And in fact, someone that I know very well went on a low-carbohydrate diet, and it was pretty miraculous, honestly. Not only did her weight stabilize to an appropriate level, but instead of starving herself constantly for years, she was able to eat to fullness and not have to obsess over food for the first time in maybe a decade, and that was a huge transformation for her. And to me, that suggests that really the adipostat has been changed. When you can eat as much as you want and you’re full and you have an appropriate level of body fat, then your adipostat is working correctly, as far as I’m concerned, you know? Chris Kresser: Yeah, and she doesn’t care what the studies say, because her life’s been totally changed. And I actually know quite a few people like that as well, and my dad’s one of them. He has been on a low-carb diet for several years, and he has stuck with it really closely both because he has seen good results, and I think he just likes to eat that way now. But he has had really, really good results. And even myself, I don’t have an issue with weight. In fact I’m, if anything, generally trying to gain weight, but if I start eating a lot of carbohydrates, that’s one way that I can put weight on. And if I follow a really low-carbohydrate diet, I have a really hard time keeping weight on. So I think there is something to it, and I agree that we’ll never probably know because to do a long-term metabolic ward study, you know, of 18 months or two years is just so expensive, it’s unlikely to happen. And there’s really no incentive, of course, for the drug companies to fund a study like that. Chris Kresser: OK, well, let’s move on. I think we’ve covered a lot of good stuff so far, and I want to start talking a little bit about some of the factors that are being looked at recently in the literature. One of them is this idea that changes in our gut flora actually have something to do with obesity. And I know you recently presented a paper on this, so you want to tell us a little bit about that? Stephan Guyenet: Yeah, so I’ll start from the beginning. In 2004, Jeffrey Gordon’s group had a finding where they showed that if you take germ-free mice, so these are mice that don’t have any kind of gut flora at all, they’re resistant to diet-induced obesity. So you can put them on the same diet that makes a regular mouse fat, and they will not get fat. That finding has actually been challenged by a recent paper that showed that germ-free mice of a different strain are actually more susceptible to diet-induced obesity. But in any case, the fact is that gut flora influence fat mass. Gut flora exert a powerful effect on fat mass. And since that 2004 paper, there have been a number of further experiments that have come out, further papers that have been published in the field, showing that you can actually transfer obesity between animals, between mice, by transferring their gut flora between one another. So you can take a mouse that’s obese, and you can take its gut flora, put it into a germ-free mouse, and it will make that mouse obese; whereas, gut flora from a lean mouse would not make that mouse obese. So there’s quite a bit of evidence right now in the animal literature that it’s a major factor in body fat, but not only body fat, also metabolic syndrome and all the things associated with it, like insulin resistance and dyslipidemia and that sort of thing. It has also been shown in humans that there are some associations between obesity and gut flora, and the research hasn’t really gotten to the point where we’re testing ways of modifying the gut flora yet. Well, I take that back. There are some ways that the gut flora have been modified. I’ll get to that in a second. But there’s another researcher by the name of Remy Burcelin. He’s in Toulouse, I think, France, and he has put out a number of papers showing that gut flora are infinitely linked with obesity and metabolic syndrome in mice, and he can actually block many of those changes, many of those diet-induced obesity and metabolic syndrome changes, by feeding the mice certain types of fermentable fibers. So those are soluble fibers that get chewed up and fermented by the gut flora and promote the growth of certain beneficial flora. You can basically prevent all the metabolic and body fat effects of these obesity-inducing diets in rodents with this fiber. Chris Kresser: So those are prebiotics we’re talking about, right? Stephan Guyenet: Correct, prebiotics. And the particular one that he’s studied the most is called inulin. It’s a polymer of fructose that’s found in certain types of root vegetables, mostly in the sunflower family. Chris Kresser: Jerusalem artichokes, things like that. Stephan Guyenet: Um-hum. Yeah, Jerusalem artichokes, burdock, jicama, chicory, and then also in leeks and onions in smaller amounts. Stephan Guyenet: And I just wanted to say one more thing about that. Sorry to interrupt. Chris Kresser: Sure, of course! Stephan Guyenet: I just wanted to say that those findings have been largely confirmed in humans as well, using fermentable fibers, so there are papers showing that it increases insulin sensitivity and can cause modest fat loss in humans as well. Chris Kresser: Yeah, this is just so fascinating to me, especially because I’m reading so much research lately about the role of gut flora in just about every modern disease. 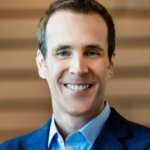 Chris Kresser: So in terms of the mechanisms for how gut flora contributes to obesity, it seems like there’s a couple different theories, and correct me if I’m wrong, but one is that the changes in gut flora actually stimulate an increase in appetite so people end up eating more. And another is that a change in gut flora actually alters the absorption of calories from food and that certain gut flora permit us to get energy from food that we wouldn’t otherwise get if we didn’t have that gut flora. Is that right? Stephan Guyenet: Yeah, so I don’t really subscribe to the second theory because, I mean, it has been shown that certain types of gut flora are more efficient at extracting calories from food, but the fact is if you believe in this adipostat theory, the body should be able to compensate… I mean it’s really a miniscule amount of calories we’re talking about, the difference between the amount extracted between different types of gut flora. We’re talking about a very small amount of energy. And if you believe that we have an adipostat that can regulate fat mass, then it should just tell the animal: Oh, why don’t you eat, you know, half a mouthful less of food today because we got a little bit extra from the gut flora. So that theory I’m not so hot on. That is one that Jeff Gordon has used to explain his initial findings. I think it’s a pretty unlikely explanation. Another thing that argues against that is this recent paper showing that, at least under certain conditions, germ-free mice are more susceptible to diet-induced obesity than mice that have normal gut flora. So that theory just can’t explain a result like that. Stephan Guyenet: So I think the only way to reconcile it is to say these bacteria are having a specific metabolic, hormonal effect on the organism that is either predisposing to or preventing fat gain and metabolic syndrome. Chris Kresser: Yeah, it doesn’t sound that far-fetched. You know, parasites can cause certainly cravings for certain foods, and yeah, it just makes sense to me that certain pathogenic bacteria or just certain different types of bacteria could cause similar cravings. So what about inflammation? I mean, insulin resistance is often talked about in terms of weight gain, but it seems like we’re seeing a lot of studies recently suggesting that inflammation instead of insulin resistance… or not instead of, but in addition to, could be a driving force. What do you think about that? Stephan Guyenet: A driving force for fat gain? Stephan Guyenet: Yeah. I mean, insulin resistance and obesity go hand in hand, and it’s difficult to say, but if I had to go one way or another, I would say insulin resistance itself is probably not a major factor in obesity, and maybe I’ll end up eating my words one day, but that is what I think. Chris Kresser: Well, there are some studies of overweight people and even kids who aren’t insulin resistant, right? Chris Kresser: And that low-carb diets reduce insulin resistance, but even over the long term, you know, over 18 months when you look at those studies, the weight gain is the same. And I know we have to consider the adherence issue that you mentioned before. And then there are studies that have shown that chemicals in plastic that cause inflammation can also cause weight gain. So I’m kinda curious about how that all fits together. Stephan Guyenet: Yeah. OK, so this adipostat that we talked about, for the most part, it resides in the hypothalamus in the brain. So that’s a region that regulates many of these feedback loops that control different aspects of metabolism. I don’t want to say that it’s exclusively in the hypothalamus, but that’s certainly a major site of where this adipostat is. So there are a few different theories on… Let me back up a step. Basically the problem with obesity… All right, so you have this adipostat. If it were always working correctly, then no one would be overweight, no one would be obese, so you have the ask the question if we have this adipostat, how can anyone ever become overweight? And the likely answer is that the feedback signal is not getting to the adipostat. So basically there’s a hormone called leptin that is secreted by fat mass and is proportional to the amount of fat that you carry, and that signals to the hypothalamus to react to the level of leptin that it’s sensing. So if it’s too little leptin because you don’t have enough fat, it makes you hungry, it makes you lethargic, etc. If it senses you have too much fat, then it increases metabolism, increases energy expenditure, decreases hunger. So basically the theory is, and there’s a lot of good evidence to support this both in animals and humans, is that the signal, the leptin… and you know, I don’t want to say leptin is the only signal regulating fat mass. I don’t want to imply that, but it’s certainly a central mechanism, possibly THE central mechanism. Basically that signal is not getting to the hypothalamus. So let’s say you have the same amount of leptin, but the hypothalamus is only getting half the signal. So what’s gonna happen, your fat mass is gonna drift up. It’s gonna keep on increasing until it has doubled, until the amount of leptin signal that the hypothalamus is hearing from the body is at the same level, and then it’s gonna stop. It’s gonna stabilize there. And then if the next year it loses more leptin sensitivity and you only hear half of that signal, then your fat mass is gonna double again. So it’s just like insulin sensitivity. The amount of leptin signaling that occurs is proportional to the amount of leptin circulating as well as to the ability of the hypothalamus to receive that leptin. So, there are three main hypotheses right now about how that happens. And inflammation is one of them, and I’ll get back to that in just one second. I just wanted to mention the other theories. One theory that’s pioneered by this guy, William Banks, who I just actually heard a lecture by today, is that there’s a problem with leptin transport into the brain from the bloodstream across what’s called the blood-brain barrier. And his theory is that triglycerides or blood fats block leptin transport into the hypothalamus and that that causes the hypothalamus to not receive the signal. That theory is interesting. I think it needs some more work, but it’s highly plausible. And then there’s a guy called Umut Ozcan, who is studying ER stress… excuse me, endoplasmic reticulum stress. It’s a type of cellular stress, and he feels that that’s involved in leptin resistance. I think that that theory still needs a lot more work as well. And then there’s my own mentor, Michael Schwartz, and another person, Dongsheng Cai, who are studying the hypothesis that inflammation in the hypothalamus is behind leptin resistance and fat gain. And you can show that inflammation causes the cells in the hypothalamus to not respond to the leptin signal as well. They basically ignore it even if there’s a bunch of it around. And if you reverse that leptin resistance… or excuse me, if you prevent that leptin resistance, you prevent the development of obesity in animal models. And so this theory ties back into the gut flora one because one of the leading hypotheses of how the gut flora cause these problems is it basically causes a low-grade systemic inflammation originating from the gut, which could potentially have inflammatory effects throughout the body, including the hypothalamus. Chris Kresser: That’s fascinating. So just to kind of recap, what’s supposed to happen is that as we gain weight, the leptin signals the hypothalamus, as we gain fat, to decrease our hunger and increase our activity levels and just do the things that you explained earlier to maintain the setpoint? Chris Kresser: But for some reason, and there are the three theories that you just described, that’s not happening in people that are gaining weight. And that could be because of inflammation, which could be at least in part caused by gut flora, or it could be because triglycerides are blocking the leptin from crossing the blood-brain barrier, or it could be because of… What was it? Cellular stress? Stephan Guyenet: Yeah, endoplasmic reticulum stress. Chris Kresser: But that theory is not very well developed yet. Stephan Guyenet: Yeah, I mean, it’s plausible, it’s highly plausible, I just feel like… I’m not convinced enough by the papers that have been published at this point. I think it needs more work. Chris Kresser: Well, something interesting, I don’t know very much at all about the third theory, but the first and second theory, the gut flora dysregulation causing the inflammation and then the triglycerides blocking the leptin, it seems to me that those could be two other reasons that the low-carb diet is effective in some people, because of course, a high-carbohydrate diet increases triglycerides, and a high-carbohydrate diet will also feed certain species of gut bacteria. Stephan Guyenet: Yeah, that’s true. The triglyceride hypothesis certainly lends credence to the low-carb… or is consistent with the effects of low-carbohydrate diets in some people. One of the things he said today in the lecture that I wasn’t aware of before is you basically have to get your triglycerides down below 100 mg/dL to see that effect, and that if you don’t get them down to that level, then… I’m speaking about in animal models. In animal models, you have to get it below that level to see the fat loss effect. But I mean, it’s pretty common for people on low-carbohydrate diets to have triglycerides below 100. I mean, I do. I’m not even on a low-carbohydrate diet, and mine are that low. But… what was I gonna say? Oh yeah, well, the carbohydrate thing, I mean, I think you have to distinguish between refined and unrefined carbohydrates because if you’re eating whole-food carbohydrates, you’re gonna be feeding beneficial bacteria as well because they like to feed on the fiber that’s contained in those foods. If you’re eating just refined carbohydrates like sugar and white flour, you’re creating an environment where the bacteria you don’t want to grow can grow in the upper intestinal tract, and the bacteria that you do want to grow can’t grow in the lower intestinal tract. Chris Kresser: Right, because the carbohydrate is so simple that it doesn’t make it all the way down to the lower intestinal tract. Stephan Guyenet: Yeah, not much makes it down there, and so the bacteria don’t have much to eat. You end up with low bacterial counts and a simplified community of bacteria down there. Chris Kresser: And that could explain, it seems like, the observation that obesity and diabetes were low in the US back when carbohydrate consumption was still fairly high, but the carbohydrates that they were eating then were whole grains and not highly refined carbs. Stephan Guyenet: Yeah, that’s true to some extent. I mean, if you got back 100 years, though, people were mostly eating white flour in this country. But it was probably somewhat different than what they eat today. I mean, I think refined carbohydrate… Let me take a step back. By that I mean that they were treating their white flour differently than today. It was more like a long fermentation-type process. I think that refined carbohydrates are one factor and certainly not the only factor. Chris Kresser: What about industrial seed oils? Because obviously our consumption of these, you know, cottonseed and sunflower and corn oil and soybean oil, these highly refined seed oils has just risen dramatically from the turn of the 20th century to, you know, I guess they’ve gone down a little bit in the last few years. But what role do you think those might be playing, especially vis-a-vis the inflammation hypothesis? Stephan Guyenet: Yeah, well, if you say the word ‘inflammation,’ the first thing I think about is omega-6 and omega-3 fats because they are so critical in determining how the body responds to stimuli that cause immune reactions or inflammation. The balance between omega-6 and omega-3 fats determines how the body reacts to harmful stimuli. There were a couple of really interesting papers that came out in the last year showing that if you feed mice a diet that is imbalanced in omega-3 and omega-6 polyunsaturated fats, they develop progressive obesity that gets worse over three to four generations of mice. So basically, what your great-grandparents ate could be influencing how much body fat you carry today, is one thing that those experiments suggest is a possibility in humans as well. Stephan Guyenet: Yeah, the implications are pretty profound. And you know, it ties in well with the hypothalamic inflammation theory because if we’re eating something that is predisposing us to inflammation throughout our entire bodies, then some inflammatory thing that wouldn’t have been a problem on a different diet, maybe that’s gonna cause a massive inflammatory reaction in the hypothalamus and lead to obesity if we’re imbalanced in the favor of omega-6. So just to give a little word for people who aren’t familiar with the terminology, omega-6 is the polyunsaturated fat that’s mostly found in seed oils like corn oil and soybean oil and cottonseed oil and safflower oil, and basically we’re eating probably four or five times as much as we were even just 100 years ago, and you go back 200 years and it was even less. And all the while, our omega-3 intake has been relatively stable or even slightly increasing over the course of the last 100 years, because some seed oils such as soybean and canola oil do contain some omega-3. But the two complete with one another in some ways, and so basically you’re negating the benefits of the omega-3’s by excessively consuming omega-6’s. Chris Kresser: Right, and just so everyone understands, the prostaglandins, the compounds that are formed from omega-6 fatty acids are more proinflammatory; whereas, those formed from omega-3’s are less inflammatory. Stephan Guyenet: Yeah, I mean, in broad strokes. The polyunsaturated omega-6 and omega-3 fats are the precursors of both eicosanoids and endocannabinoids. So those are two compounds that have massive effects on body weight and feeding behaviors. Like, for example, the word ‘endocannabinoid,’ you take the word ‘cannabinoid,’ the word comes from cannabis because it’s basically the molecule that the body produces that hits the same receptor as marijuana does. So what happens when you smoke marijuana? You want to eat a lot of food, right? Stephan Guyenet: Exactly. So that shows that those cannabinoids are very potent regulators of feeding behavior. And there’s actually a drug called rimonabant that is a weight loss drug. It was recently taken off the market for side effect reasons, but it does cause fat loss in humans, and it’s basically reverse marijuana. It blocks the receptor that marijuana activates. Chris Kresser: Yeah, that’s fascinating too, and it seems like another big piece of the story, especially because we’re eating so much more of these oils now. I know Cordain and others have done some anthropological work that suggests that the ratio of omega-6 to omega-3 was maybe 1:1 back in our hunter-gatherer ancestors’ times, and I’ve seen recently the estimate that we’re eating 10 times more omega-6 than omega-3, and in some people that number could be as high as 20 to 25 times as much. Chris Kresser: And you know, just based on what we’ve been talking about so far, it seems like there would be pretty dramatic consequences from getting that far away. Stephan Guyenet: Yeah, I believe there are. I think the consequences are massive. And one of the problems with the research is that we’re talking about very long-term things. I mean, this in not the kind of thing where you take a fish oil capsule and the next day you wake up thin, or you wake up insulin sensitive or whatever. It’s really a very long-term effect that is probably more effective as a preventative measure than it is in the treatment. Chris Kresser: Um-hum. So let’s talk a little bit about prevention and treatment. A couple questions. In general, we know that exercise, you know, cardio-type of exercise isn’t helpful for weight loss, but it seems like I have seen a few studies that suggest that high-intensity exercise might be more effective than cardio. Is that true? Stephan Guyenet: Yeah, well, there’s at least one study that suggests that it is effective for fat loss. My opinion on that is that it is very interesting, and it’s, I think, highly plausible, and I think that it should be confirmed by more research. But, I mean, I have no reservations recommending high-intensity exercise as part of a fat loss attempt, as long as it’s done in a way that is not overboard, you know? If you’re exercising at a very high level of intensity, you’d have to make sure that you’re giving yourself adequate rest to allow your body to repair. Chris Kresser: To recover and came back to baseline and then more. Chris Kresser: And so in the study that you’re referring to, was it, like, high-intensity aerobic training or resistance training, do you know? Stephan Guyenet: Yeah, it was actually cycle sprints. Chris Kresser: Cycle sprints. Right. Stephan Guyenet: Yeah, stationary bike. And it had overweight women… I believe they were overweight women, do stationary bicycle sprints, and they lost fat mass over the course of a few months, I think. Chris Kresser: Yeah, that sounds familiar now. And what about intermittent fasting? That frequently comes up in this paleo community as another potential way of changing the setpoint. What do you think? Stephan Guyenet: Well, I’ll say a few things about that. So the first thing I’ll say is that there is remarkably little in the human literature on intermittent fasting that would suggest that it’s effective for fat loss. And by that I mean that it hasn’t been directly tested in a way that I would find satisfying. On the other hand, it’s not that it’s been tried and doesn’t work, it just hasn’t really been tested in a satisfactory way, in my opinion. But I was at this lecture today by this guy… Oh, what was his name? It’s slipping my mind right now. Anyway. Oh, yeah, William Banks. That lecture I went to today. He said he showed in his animals that fasting, short-term fasting, so 16-hour fasts, increased the amount of leptin that was transported into the hypothalamus in overweight rats, or mice, I think. So basically it could potentially be used as a way to sensitize the hypothalamus to leptin, to allow that adipostat to hear the signal that the fat mass is putting out. And anecdotally, there are a lot of people that have had great success with it. So you know, as far as I’m concerned, I still have my skeptic hat on, but try it. Give it a shot. I think that it’s highly plausible. Basically it’s a type of hormesis or a stimulus that is a stressor, a mild stressor that increases resistance to greater stressors. So, exercise is a type of hormesis. You put a stress on your body, and it adapts in a positive way. So I find it highly plausible that intermittent fasting could be doing something similar. Again, I would like to see it tested rigorously, but I don’t think it’s gonna hurt anybody at this point, so I say give it a shot. Give it a try. Chris Kresser: Right. Yeah, it sounds like there is a plausible mechanism and some at least anecdotal evidence, and for a lot of people, that’s probably enough, especially since there doesn’t sound like there’s any negative consequences from it. Chris Kresser: You know, the more I’ve been thinking about this recently, it seems like there’s a real paradigm shift happening in the understanding of obesity, where it was previously considered to be, you know, just primarily a metabolic disorder or even a psychological disorder at one point, you know, people just couldn’t stop themselves from eating or couldn’t make themselves exercise enough because they weren’t disciplined enough. Chris Kresser: Now it seems like, you know, obviously there are metabolic factors, and in some people there may be psychological factors, of course, too, but it also seems like there are immunological factors and even that you could say obesity is an immune disorder in some way. And if that’s true, it really seems like it changes our focus on how we prevent it and treat it. So could you talk a little bit about… well, two things. First of all, just prevention since it seems like prevention, we know a lot more about prevention than we do about treatment at this point with these new strategies. And then maybe tell us a little bit about treatment. Like, if somebody came to you and was overweight and asked you what they thought they should do, what would you recommend? Stephan Guyenet: OK. So just to dwell for a moment on what you said about obesity and metabolic syndrome being immunological, I think that you’re absolutely right with that, and it has been a huge trend. Actually it’s been a huge research trend. There’s a lot of data to suggest that insulin resistance and metabolic syndrome has a very strong immune component. And just to fill people in, inflammation is a type of immune reaction. It’s one class of immune reaction. And basically, you can take animal models, and you can block inflammation, and they will not develop a type of insulin resistance and metabolic disorders that an animal would develop if they had the capacity to have normal inflammation. So it won’t block the obesity if you block it… The problem is mostly these treatments don’t actually act in the brain. So you know, the hypothalamus is in the brain. But if you block obesity in the rest of the body, it blocks the insulin resistance and that sort of thing. And you can actually take diabetic patients, human diabetic patients, and if you infuse their blood with enough antiinflammatory drug, you can get rid of most of their insulin resistance. Stephan Guyenet: Yeah, you can do it basically with aspirin. If you put enough directly into the bloodstream, they become almost as insulin sensitive as a normal person, a type 2 diabetic. So that suggests that inflammation is tightly involved in insulin resistance. Chris Kresser: And that insulin resistance might be secondary to inflammation. Stephan Guyenet: That’s correct. Yeah, that is probably at least true to a large extent. I can’t say that that’s the exclusive reason, but to a large extent it is. So in terms of prevention, the way that I always like to think is what are people doing who aren’t gaining fat mass? You know, what are cultures doing where it doesn’t matter who you are, you don’t get fat. And basically what they’re eating is a traditional whole-foods diet based around traditionally prepared, micronutrient-dense foods. And it’s always a mixture between… well, I don’t want to say always, but typically, I would say that the healthiest cultures eat a mixture of both animal and plant foods that have lived their lives and then harvested and prepared in a traditional manner. And you can see what these people eat and see that they don’t become overweight; they don’t get the metabolic diseases we have. And you can see that when these cultures adopt Western foods, they develop the same problems that we have. Chris Kresser: I’m sure most of our listeners probably already know this, but let’s talk a little bit about what wasn’t in those diets. Maybe that’s an easier way to get at it. Stephan Guyenet: Yeah, that’s a good point. It’s always easier to talk about what wasn’t in those diets, because they were extremely diverse, from cultures that were essentially pure carnivores to cultures that were eating very starchy plant-based diets, and basically none of them were getting sick as long as they ate a traditional diet. So the things they weren’t eating were sugar… And when I say sugar, I’m talking about refined sugar. Some of these cultures got sugar from fruit or honey or that sort of thing. Stephan Guyenet: They were not eating white flour. White flour, pretty much wherever it shows up throughout the world, metabolic havoc ensues. And tooth decay and all that stuff. They were not eating industrial seed oils. There are traditional oils that cultures used, but they were very different from the modern oils that we use today. Things like palm oil and coconut oil and animal fats and olive oil as well were really the main cooking oils of traditional healthy cultures in many parts of the world. Chris Kresser: Right. The oils that you could get without large factories and machines. Stephan Guyenet: And industrial solvents, you know? I mean, honestly, I think if the average person knew what the true process is that goes into making something like soybean or corn oil, I don’t think they would eat anymore. I mean, it’s just disgusting. Chris Kresser: I agree. I had a slide in a presentation that I give on cholesterol and heart disease that has a schematic of all the steps that processing of a vegetable oil goes through, and people were pretty grossed out by the end of the description of the slide. Stephan Guyenet: Yeah, it’s revolting. I mean, how can you even consider that food, honestly? Chris Kresser: Yeah. So no flour, no white sugar, no industrial refined seed oils. Anything else? Stephan Guyenet: Well, I think, processed food in general. I mean, there are other things that showed up at the time that these cultures developed metabolic problems, like canned low quality meats like turkey tails. Turkey tails are something that’s kind of ubiquitous in the processed food culture of South Sea Island cultures that have become extremely unhealthy. And it’s remarkable in that among animal fats, turkey fat contains a very high proportion of omega-6 polyunsaturated fat. So it’s really the bottom of the barrel in terms of animal foods. Yeah, and just processed food in general just doesn’t contain enough nutrition, doesn’t contain enough fermentable fiber, and in the case of white flour, it can be immunogenic. It can stimulate the immune system in a negative way. And then sugar can cause overgrowth of harmful bacteria. So you just have basically a potent brew that very rapidly destroys the health of traditional cultures, just as it has destroyed our own culture’s health. Chris Kresser: Right. So we have, you know, pretty much just eat food that comes the way it comes in nature, and don’t eat stuff that comes in a bag or a box as much as possible. And stay away from white flour and sugar in particular, and refined grains and industrial seed oils, which some people may not be aware… I don’t know that many people that are cooking with soybean oil anymore, but what some people don’t realize is that pretty much all restaurant foods are cooked in these oils and that a lot of packaged foods have these oils in them as well. Chris Kresser: So they’re pretty insidious. I think I read recently that 20% of calories from the American diet come from these seed oils, or just actually soybean oil, I think, was the statistic, which is just crazy. Stephan Guyenet: Yeah, that’s insane. If you think about the types of fats that we have been eating for the last few million years, it’s a complete departure just in the last hundred years. And to me, what’s insane is that there are no alarm bells going off, or barely anyone is saying: Whoa, whoa, whoa, you know, we have these extremely bioactive fats that all of a sudden we’re loading down our diets with. This has got to have some kind of effect, you know? And it’s not gonna positive. But most people, it doesn’t even occur to them. Chris Kresser: No, and we’ve been looking in the wrong places for a lot of years, and that’s definitely a subject for another conversation! We could talk a long time about that, I’m sure. Chris Kresser: OK, so prevention we’re talking about, and those are the dietary factors. You mentioned earlier that exercise may play some role in maintaining a setpoint. Do you think that maybe just maintaining insulin and leptin sensitivity is part of that? Stephan Guyenet: Yeah, I think that’s exactly what it does. It maintains metabolic health. And I think that if exercise, if high-intensity exercise is able to reduce the body fat, it’s because it’s having a metabolic effect. It’s not the calories. Yeah, that’s exactly what I would say. And it has been shown that exercise reduces inflammation measurable in the blood, so it’s plausible that it reduces inflammation in other places as well and increases hormone sensitivity. Chris Kresser: Right. What about fermented foods? It seems like a lot of traditional cultures, or at least some traditional cultures ate fermented foods, and that might have benefitted their gut flora. Stephan Guyenet: Yeah. You know, I’m glad you brought that up. I’ve been thinking about this somewhat lately, and there are basically two ways to alter your gut flora. One is by eating bacteria and yeast and whatever from fermented foods or probiotics, and that is largely something that’s mostly gonna influence your upper intestinal tract, as far as I understand it. So, your small intestine. Stephan Guyenet: Because by the time you get down to the large intestine, I mean, your large intestine is basically a big bacterial reactor. Like, it’s full of trillions of bacteria. And there’s no amount of probiotic that you can eat that’s even gonna make a drop of difference in that enormous mass of bacteria in your large intestine. So the way I see it, that sort of thing is really gonna mostly influence your upper intestinal tract. But that can be important because upper tract… I think you’ve been writing about gastroesophageal reflux disorder recently and how that interacts possibly with bacterial overgrowth in the small intestine, and those are things that you can influence possibly by eating fermented foods and probiotics, by competing with those harmful organisms. And it’s also been shown that… We haven’t really talked much about intestinal permeability, but it’s been shown that you can increase the ability of the gut to keep inflammatory molecules out of the blood by giving probiotics. So you’d decrease intestinal permeability in the small intestine, which could be important. Stephan Guyenet: And then for the large intestine, the way you alter the gut flora there is with the fermentable fibers, because that’s where the fermentation takes place. So basically it’s kind of a one-two punch if you’re doing fermented foods and fermentable fiber in your diet. So it’s prebiotics and probiotics. Chris Kresser: Right, which they call synbiotics. Or it seems like that’s the term they’re throwing around now. Stephan Guyenet: Yeah, that’s right. It’s the new fancy term for eating sauerkraut and vegetables! Chris Kresser: Right! Well, they need a term so that they can make patented products and make lots of money off of them. Chris Kresser: Well, that’s great, and actually a colleague of mine, a doctor who I really like, he says that antibiotics were the medicine of the 20th century, and probiotics and prebiotics are gonna be the medicine of the 21st century. And it certainly seems it’s shaping up to be that way, although you could argue that probiotics and prebiotics were the medicine of the previous, you know, millions of years of evolution. Stephan Guyenet: Yeah, that’s right. Chris Kresser: And we just got a little off track there for a while. Stephan Guyenet: Well, I hope he’s right. Chris Kresser: Yeah. OK, so prevention, we’ve got mostly dietary, keep exercising and making sure we’re getting enough of the fermentable fibers and the fermented foods to maintain healthy gut flora. So what about somebody who is already overweight and their setpoint is not where they want it to be? All of the things that we’ve already talked about for prevention, I’m sure, would be part of the program, but why don’t you talk a little bit about treatment? Stephan Guyenet: Sure. Basically I’m just gonna outline a toolbox. I mean, it depends on the individual, so I’m just gonna outline a toolbox of potential strategies that one could consider if one wanted to lose weight or wanted to lose fat. And the exact strategy that you would apply would depend on the individual, but some possibilities are reducing the carbohydrate content of the diet. And I’m not really sold on going extreme on that. I think that a moderate reduction in carbohydrates is probably a better idea unless you’re diabetic or almost diabetic. Chris Kresser: So for those who like to know the numbers, do you have anything in mind, like less than 75 grams of carbs a day? Or are you just kind of pointing more towards, I don’t know, a more qualitative reduction? Stephan Guyenet: I tend to think more in terms of percentages just because that’s the way I’ve always thought about it, so I apologize, I can’t, off the top of my head, give you a gram amount. But I would say that I would start to get uncomfortable if someone was going below maybe 20% carbohydrate for the long term. I don’t know, I mean, I think it probably works for some people, but I think there are a lot of people who just end up not benefitting from that in a number of ways. It’s important to listen to what your body is saying. Chris Kresser: Right. OK, so moderately reducing carbohydrate intake. Stephan Guyenet: Yeah, and then basically ensuring a nutrient-dense diet. So make sure that you’re eating nutrient-dense food. Eat pasture-raised eggs and dairy if tolerated. Dairy can actually be problematic for some people, but if you tolerate it well. And pasture-raised meats, organ meats in particular, like liver. Butter. And then root vegetables, sweet potatoes, potatoes, taro. And vegetables, you know, especially vegetables with a high content of fermentable fibers, like onions and mushrooms and Jerusalem artichokes, burdock, all that good stuff. Nuts and fruit. Basically a whole foods diet. Stephan Guyenet: And then grains, as well. I think grains can be part of the equation. I think that some people may benefit from not eating grains at all, but I think that most people, if they’re prepared properly, can have grains in the diet and do fine. I think that many traditional cultures have shown that it’s a feasible part of a diet. Chris Kresser: Right, and you’ve been writing about types of preparation that those cultures did and that are required so that grains are actually healthful for us rather than problematic. 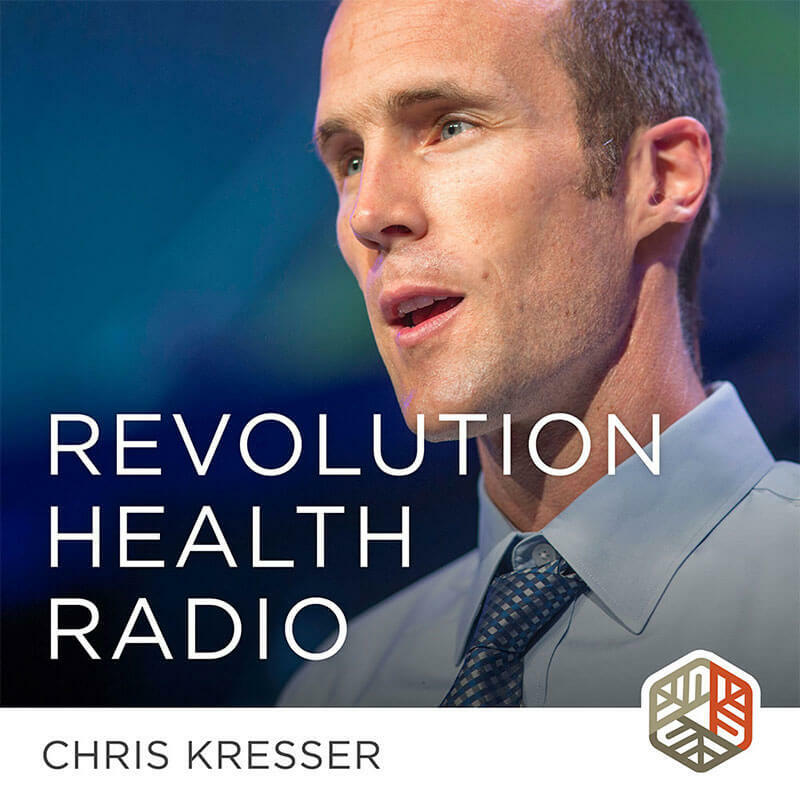 Chris Kresser: OK, so we’ve got a nutrient-dense diet, everything we talked about for prevention, the probiotics, maybe high-intensity training if somebody wants to try that, and possibly intermittent fasting. Sounds like everything that promotes general health and wellness, but specifically those things that reduce inflammation and improve insulin and leptin signaling, which is pretty much everything that we’ve been talking about tonight. Stephan Guyenet: … over the next few months. And I think that there are people who have a similar reaction to dairy as well and other foods. I think wheat is the particularly common one. Chris Kresser: Just wheat? Or any gluten-containing grains? Stephan Guyenet: Well, I think wheat is the worst offender, especially white flour, but there are certainly a lot of people who are sensitive to gluten found in wheat, rye, and barley. And you know, the classical disease of gluten sensitivity is celiac disease, and that traditionally was thought of as kind of a wasting disease, where people were very lean because they weren’t able to absorb the nutrients from their food. But now that we’re testing more people and finding more people with celiac disease, there are quite a few people who are overweight who have celiac disease. And in fact, people who have gluten sensitivity but not celiac disease, which is very common, probably at least 1 out of 10 people, probably more… Those people are just as likely to be overweight if not more so than the general population. So I think that food sensitivity is a big one, and that can contribute to gut problems and inflammation throughout the body as well. Chris Kresser: Wow. We’ve covered a lot of ground tonight! It’s exciting to me, in a way, that we’re really beginning to understand this in a new way and hopefully in a way that brings more success than the previous paradigm. You know, instead of people focusing on cutting calories or running on the treadmill endlessly in the gym, we focus more on basically improving our immune system and reducing inflammation in the body. And of course, everything that does that is gonna benefit not just our weight, but our overall health and our ability to prevent other diseases since all diseases pretty much have an inflammation component to them. It sounds like the things that we would do to prevent and to treat weight gain are just the things that we need to be doing anyway to promote overall good health. And that always makes me feel good! You know, it makes a lot of sense to me when things add up like that. I feel naturally distrustful of strategies to treat a particular condition that would send our general health in a bad direction. Chris Kresser: So thank you so much, Stephan. It’s been great. I’m sorry we went a little over the time that I had planned, but it’s just… I get off on talking about this stuff. It’s really interesting to me! So thanks again, and hopefully we can do it again sometime soon. Stephan Guyenet: Yeah, my pleasure. Thank you, Chris. I want to briefly explain to individuals why everyone you know will likely come down with some form of age and stress-related disease or disorders (e.g. cancer, cardiovascular, auto-immune, and neurodegenerative) and how that is intimately related to the (lack of) intake of healthy foods, like hemp seeds. I also want to explain how you are genetically hard-wired to receive cannabis (essentially) and how cannabis may alleviate mostly all of the ailments listed above* (*with the inclusion of moderate, responsible use and as a compliment to your functional medicine guidelines). This will not promote kids or adults smoking marijuana and is purely for educational reasons. Everything I say is backed up by peer-reviewed studies and government-owned medical patents. Research of cannabis in the 90s, led to the discovery of the endogenous cannabinoid system (ECS), which serves to regulate stress signaling and other types of biochemical signalling processes. Endocannabinoids are fatty molecular signals (lipids) that somewhat resemble compounds in marijuana or cannabis and are produced rapidly, on-demand within plasma membranes to perform and regulate paracrine or autocrine cell communication. . Cannabis is the only plant to produce “cannabinoids,” but some other plants, like echinacea, contain cannabinoid receptor agonists. Endocannabinoids are the body’s natural supply of cannabinoid receptor agonists. In the last two decades, the science clearly shows that this system is important to many factors of health and well-being, including feeding behavior, energy metabolism, nerve cell life and death, pain, feeding, memory, mood, inflammation, stress, and aging. A dysregulation promotes disease and cannabis seems to repair some of these potential dysregulations (e.g. low cannabinoid tone). The (ECS) is primarily considered a “pro-homeostatic, ancient system” preserved through the evolution of all vertebrates. When asked, “what do endocannabinoids do?”, one scientist studying endocannabinods said, “to help relax, eat, rest, forget, and protect.” Studies have shown the layout of cannabinoid receptors (CBRs) in the human body. Scientists have said that CBRs outnumber all other cell receptor types, including opiate, glutamate, GABA, and serotonin receptors. In inflammatory and ischemic, or post-injury tissue, changes in the receptor expression or endocannabinoid tone can be seen. Usually, the receptor expression is increased in cells to promote cannabinoid signalling or increase ECS tone. This is purportedly a protective mechanism. Cannabis uniquely contains plant or phyto-cannabinoids that bind to and activate CBRs, as well as, inactivates the enzymes that inactivate and degrade the endogenously occurring (endo)cannabinoids. In this way, cannabis intake modulates psycho-neuro-immune functioning and generally upregulates or enhances endocannabinoid signalling or tone. For instance, deleting or blocked a CBR in the brain causes early starvation and death in pup mice, but this effect can be reversed if the CBR blocker (e.g. Accomplia) is replaced with an agonist (e.g. cannabinoids found in cannabis). By observing and manipulating the ECS, scientists have hypothesized and shown how cannabis promotes appetite and weight gain in HIV/AIDS and cancer patients, as well as, relives neuropathic and cancer pain, promotes nausea relief, and prevents vomiting through the activation of the CB1 receptor on primarily nerve and other tissue cells. Also, cannabis modulates the immune system and promotes anti-inflammatory signalling through the activation of the CB2 receptor on immune cells. Inflammation drives both HIV and cancer signalling systems. Cannabinoids also have anti-viral and anti-cancer properties related to CBR-dependent and independent mechanisms (for more info, see Dr. Manuel Guzman’s research in Spain). Cannabis does not need to be smoked, it can be vaporized or ingested orally (sublingually/enterally) as a concentrated essential oil (aka Rick Simpson oil, phoenix tears, hash oil, hemp oil*; *hemp oil is not to be confused with hemp seed oil which is devoid of cannabinoids, like the psycho-active THC). Also, raw cannabis can be juiced. Non-heated cannabis lacks psychoactive content or active THC. Instead, it contains THC-acid, a form of inactive THC bound to carboxylic acid, which is removed via heat and oxidation. So, drinking the green juice from marijuana leaves won’t get you high, unless they’ve been dried or heated. Cannabis contains THC and CBD, cannabinoids, patented by the government as “neuroprotective antioxidants.” Ingesting 5 mg/kg of CBD (and THC; plant cannabinoids; cannabis) per body weight, the patent states, reduces stroke volume and risk of diabetes type II by over 50 % in mice, as well as, significantly dampens or slows tumor growth, spread, and reproduction. The anti-oxidant value of THC and CBD compares to the artificial preservative BHT (but without BHT’s cancer link) and dwarfs vitamins C & E in potency. The anti-inflammatory properties are coupled with anti-viral and anti-biotic properties, if consumed raw. William Courtney, MD, suggests a diet rich in hemp seeds as well as cannabis leaf juice (approx. 30 leaves per day, depending on the source or strain, I believe). For serious condition with suspected “endocannabinoid deficiencies,” a high-grade extract can be ingested at the suggested dose of 1 gram per day (approx. one pound of marijuana equals 60-70 mLs of essential oil, concentrated cannabis flower extract). Endocannabinoids are produced naturally by the cell’s from appropriate omega 3 and 6 consumption. Endocannabinoid signalling is dysregulated in omega 3 deficient mice and has been linked to depression. Omega 3 deficiency contributes to significant and vast health problems, including, increased susceptibility to “Western” diseases. Omega 3 deficiency also completely dysregulates CB1 function and triggers inflammation, which overburdens the bodies demand for CB2 (anti-inflammatory) signalling. Hemp seeds contain the appropriate, nearest-to-perfect ratio of omega 3 to omega 6 (1:3), 15 grams of easily-absorbed and complete protein per serving, as well as, vitamins (E, D, and B vitamins), minerals (magnesium, iron, and calcium), and rare anti-inflammatory omega fatty acids. This functional food promotes cardiovascular, nerve, gastrointestinal, and immune function… Come on! Some one just say it, I’m biased. I totally love cannabis, hemp. Why? Because, I’m hard-wired, too! Guess what? So are you! The only thing it really has little control over is the direct control of breathing and heart rate. It relaxes arteries and drop blood pressure. Anxiety and low blood pressure increase heart rate. But these are through indirect mechanisms. Cannabis doesn’t shut off your breathing like opiates or shut down your heart beat like Beta blockers or atropine. So, if you don’t want to break the law, eat hemp seeds and get the laws changed! It will do your community justice. No human studies have shown cannabis can function as a medicine, according to the federal government, which mandates through congressional order that marijuana (and other schedule 1 drugs) shall only studied for negative (not therapeutic) effects. Nonetheless, the national cancer institute clearly explains the known anti-cancer effects of cannabis compounds in preclinical studies and anecdotes have surfaced in public (e.g. youtube, etc…) claiming tumor reduction, dramatic symptom relief, and some disease reversal of things ranging from autism, Crohn’s, epilepsy, neuropathy, MS, ALS, Parkinson’s, Huntington’s, Alzheimer’s, Diabetes type II, HIV, cancer, PTSD, depression, And it’s completely non-toxic to all organs. As for addiction, scientifically speaking, it rivals caffeine, but is modest overall. The risk of schizophrenia is 1% and people in this category have been shown to be at risk for disease progression with cannabis use. Also, CBD, a cannabis compound, is being studied in schizophrenic patients as an atypical antipsychotic. It is showing success so far. Chris, with what Stephan said about the colon and bacteria and fermentable fibre, wouldn’t it be a good idea for someone with UC to eat fermentable fibre ? In light of the ulcers, I would think soluble fibre would be the better choice? If the bacteria in the colon need these fermentable fibres to recolonize, I’m confused why GAPS or SCD would be implemented. This podcast was fascinating. I listened to it for the second time today and learned so much from it. Stephan is a great guest, very intelligent and he explains things in a way that is easily understood. I’m looking forward to listening to more of what he has to say in Podcast 10. Thanks for a great podcast! Very interesting. Trying to figure out weight loss and Hashimotos. Have 30 lbs to lose. Exercise doesn’t seem to help and low calorie diets don’t work. Though exercise makes me feel better. That wasn’t my experience of Stephan at all. He’s the first person to admit when he’s not knowledgable in a particular area, and like all good scientists he makes it clear when he’s speculating and not on solid scientific ground. He also happens to be one of the smartest and is without a doubt the mildest-mannered blogger in this niche. Check out his blog at http://wholehealthsource.blogspot.com. I think you’ll be impressed. I really like the idea that you are trying to bring out newer information about diet and nutrition. You can use the email – it’ real. I am laughing at myself because I thought this podcast was brand-new but now I see it was done a while ago. I’d be happy to be a guest. Thanks, Kurt. Your timing is good, because I’ll be starting up the podcast again very shortly. Hope to do it bi-weekly going forward. Q&A format like Robb’s show, but with regular guests (like Stephan) as well. Would love for you to be one of them if you’re willing. I’m not sure how to reach you – I see an email address on the comment you left here, but not sure if it’s bonafide and actually goes to you or is just one you use for blog comment forms. Please send me a note via the contact form on this site with your preferred email. Would be happy to have you as one of my first guests. Outstanding interview. Congratulations to both of you. The best podcast I’ve heard in quite a while. Any chance you might create a transcription? I understand there are some newer products that can do that almost automatically? Voice is so slow plus there’s no scan-and-select ability with it. An hour twenty is just too long compared to reading speed. No plans to do that right now – I’ve got a lot on my plate. If you’re motivated and want to research it and figure out an easy way to do it, I’ll consider it. Otherwise, you can always listen to it in the car or doing dishes or something. On my ipod you can play the podcast at double speed. That would make it only an hour long. I find the pace of these podcasts very soothing. Perfect bedtime “reading”. Very good interview, thank you. Incidentally, most of the mic problems can be solved inexpensively with a pop filter. They go for around $20 US, or you can make one with some pantyhose stretched over a 6″ diameter hoop of wire (bend a coat hanger, it’s ideal). Position between lips and mic (touching neither), fasten it to the mic stand or whatever is solid enough to hold it in place. Once in position, it’ll catch plosives before they hit the mic surface and yield much better voice recordings. Be wary of low-carb diets. Low sugar diets, fine. Low refined grain products, fine. But demonizing all carbs is dumb. Fruits and many vegetables are largely carbs, and they’re mostly good carbs: fiber and micronutrients ‘n stuff. Eat them whole and raw unless cooking is required to make them safe. Also, low-carb means high fat. All fats are not created equal. That’s a subject much too complex for a comment, but I’ll just say that some fats may turn out to be very bad nutrition, and they may not always be the fats you have been told are bad by the FDA and the food industry. I Hoped Stephan would have touched more the HIIT training protocols for fat loss – there is a lot of hype yet only some really impressive results so far. Nice interview, I enjoyed it. I’ve seen some good evidence for HIIT and fat loss in Body By Science, and the mechanism is certainly plausible. Epinephrine triggers hormone-sensitive lipase, which mobilizes free fatty acids from adipocytes. Since epinephrine isn’t likely to be reduced during low intensity, steady state exercise, this effect would only happen with HIIT. HIIT also depletes glycogen stores in the muscle, which improves insulin sensitivity. I think as more studies are done we’ll see the evidence accumulate. Rice flour would certainly be better than wheat flour for most people. I understand that wheat and its bi-products are not in the overall sense, healthy. What about turning to a long grain rice flour instead? PS. My appalling spelling suggests I may not have the capacity to understand much. Cin cin! Hey, listened to the Podcast. This was comprehensive in terms of the dimensions of the discussion, yet succint and I actully understood it. Loved it. Great stuff. Excellent interview. High quality information. I appreciate what you are doing and wish you success in the future. Can’t wait to hear another interview. I really enjoyed the podcast. Great interview Christian, I am a long time reader of Stephan’s blog and I just discovered your blog. I really liked how you conducted the interview…you really allowed the guest to speak and everything you said only added to the conversation. Also, the depth of detail was really great, it was not just a cursory look at diet but covered a wide range of topics in great detail. All in all, wonderful. Thank you! I appreciate your feedback. I’m glad you enjoyed the interview. Thank you very much for this wonderful interview. You are to be commended for deciding to interview Dr. Guyenet, and you brought out a lot of information that was varied yet cohesive and easy to understand. Thanks, Cassandra. I’m glad you enjoyed it. Awesome interview. Cutting edge in terms of covering the best current thinking about obesity, but presented in an accessible way. By the way, it’s amazing how an ancestral diet tends to adress all of the factors (even those poorly understood) involved in obesity, and this without side effects. Glad you liked it Christian! I completely agree with you about ancestral diets. They address so many issues at once. I’ve pointed some of my accupuncture friends to your articles. Thanks again. By the way, I totally love your accupuncture series – reading part V at the moment. I’m a naturopath and have been a bit so so about accupuncture which I haven’t studied. I need to understand things Biomedically. I’ve pointed some of my accupuncture friends to your articles. Thanks again. Great interview. Chris, I liked the way you summed things up after each topic. Also, you were very knowledgeable about what Stephan was going to talk about which was good. Watch the breathing over the mike – there were a few times when there was this weird breathing sounds. Thanks for the feedback, Sue. I noticed the breathing but decided to go ahead and publish it. I’ll have to play with the microphone position to find the optimal spot. Hopefully it will be better next time! Ah, I see. I used Audacity to convert to .m4a. Audacity does this w/ the “ffmpeg” encoder, which from a quick Google search seems like it may use the “lavf” format. Next time I’ll try a different process. Thanks for the tip. There is no problem with m4a (AAC), it’s great and I’m also use it. But the used encoder is lavf… And this encoder doesn’t work for me. Maybe it’s a problem of a setting. There are many results on google for “lavf ipod”. Maybe “lavf -lavfopts format=ipod” will help you, that’s what i found… I don’t know which program you use to create this podcast etc. I just want to give you a hint. After researching this a little more, I’m confused about why the previous format didn’t work on your iPod. It was an .m4a (AAC) file, which I believe is a format Apple developed specifically for iTunes and iPods. iTunes University recommends .m4a (AAC) for podcasts, so I don’t understand why it wouldn’t work on your iPod. Am I missing something here? I prefer .m4a because the file format is smaller, I can insert graphics into the episode and create enhanced podcasts, and listeners can speed them up if desired. the podcast doesn’t work on the ipod. Can you change the encoder and upload the new podcast? As you can see, I’m new to the whole podcasting thing. I didn’t realize the file I posted can’t be played on an iPod. I’m uploading a new file now (AAC/MP4) that should work on all portable devices. Thanks for the heads-up. Apologies to everyone for the rocky start. I thought I had it figured out, but clearly I didn’t! Should be easier going forward. So what do you think it is about sugar and white flour that is bad? As for sugar it could be the fructose or the glucose or what the body has to do to break the bond between the two or the fact that it is an empty calorie. Animal studies have shown that they will eat not so much to calories or even volume, but to nutrients. They will eat huge amounts of calories and huge volumes of food until they have gotten enough nutrients. Wheat starch (white flour), is made of long chains of glucose. The only thing that sugar and white flour have in common is that they are empty calories and good sources of glucose. But of course, it’s entirely possible they are bad for different, not the same, reasons. In short, they both cause blood sugar imbalance, hormonal dysregulation, intestinal dysbiosis and inflammation – all of which contribute to obesity. Beautiful. Thanks Chris. I am looking to future episodes. However, for some reason this episode isn’t appearing in the feed. I’m investigating. This podcasting world is all new to me. Can we get an rss feed for the podcast for us Android users? I’m working on that. I submitted it to the iTunes store yesterday, but it hasn’t been approved yet. Should be soon – I’ll post back here when it’s ready. The easiest way is to Subscribe to the podcast and see if the episode downloads. When it fails, iTunes adds a little icon next to the episode in quesiton. Clicking on that icon will give you the error, such as what URL was not found, etc. How do you check to see if the link is working with iTunes? It’s working now in iTunes. I can get the file directly, but iTunes still thinks it is missing. I’ll wager they’ve cached its original missing status and if we wait a bit, it’ll work in iTunes also when they retry. Ah, technology. Can you try now John? I re-uploaded the file.